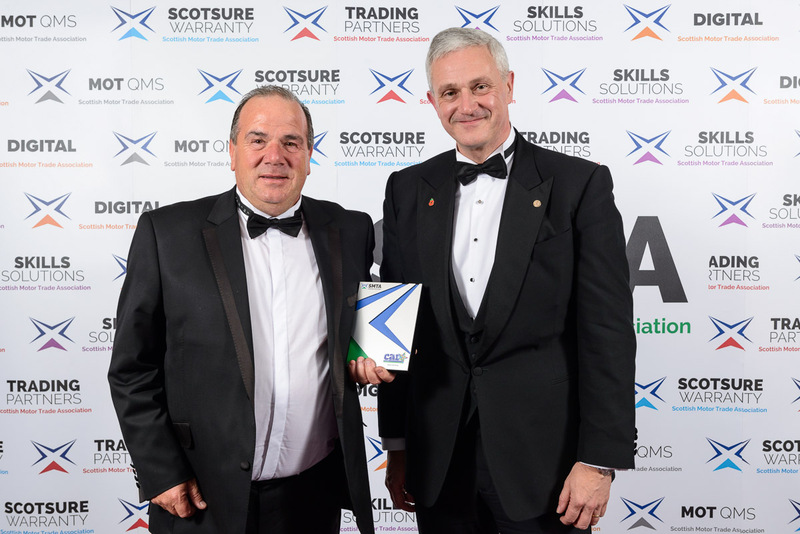 Allied Vehicles celebrated a double victory at the recent Scottish Motor Trade Association (SMTA) Annual Awards 2018. Allied Vehicles Group were handed a Community Activity Recognition Award for the work we undertake in the community. The work with Primary Engineer, to set up programmes in over 20 local primary schools was particularly highlighted alongside the wide-range of disability charities we work with. It was also a night for celebration for Allied Chairman and Founder, Gerry Facenna who was presented with a Special Recognition Award. The award was a total surprise for Gerry, who was recognised for his support of local and national charities, alongside being a major employer in the Scottish automotive sector for over 25 years. The Special Recognition Award was sponsored by Arnold Clark and presented by Chief Executive and Group Managing Director Eddie Hawthorne. The Community Activity Recognition Award was sponsored by Lateral Line and presented by Moira Gaynor, SMTA Company Secretary.